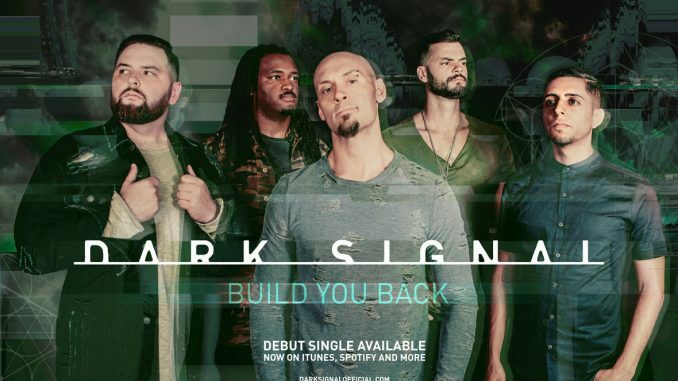 Sacramento based Rock/Metal Band Dark Signal are setting out to challenge expectations with their bold, debut single and lyric video, “Build You Back.” Originally premiered on Tattoo.com, “Build You Back” produced by Drew Fulk and mixed by Taylor Larson; the video was directed/edited by guitarist Matt Thomas. Dark Signal is elegant, and destructive. The best of us, at the worst of times. Dark Signal is everything we wanted it to be, and nothing we imagined. In the end we’re all looking for a story, something to connect to. Dark Signal is a choice. The choice to be our true selves, and create music we connect to in the same way we connect with others.